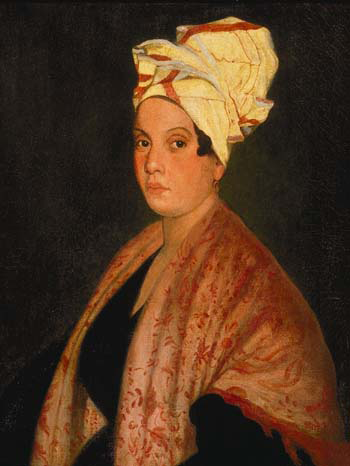 Like Jean Laffite, Voodoo queen Marie Laveau is a New Orleans character whose life is shrouded in legend. Her magic relied in part on trickery. Marie Laveau was born on September 10, 1801, daughter of the free persons of colour Marguerite Henry D’Arcantel and Charles Laveaux. In 1819, Marie married Jacques Paris, a quadroon. They had two daughters: Felicité, born in 1817, and Marie Angèlie, born in 1822. Both are presumed to have died young. Jacques died or disappeared sometime between March 1822 and November 1824. Thereafter Marie went by the name the Widow Paris. Like many women of colour, Marie was illiterate. She supported herself as a hairdresser, going to the homes of wealthy white women to style their coiffures. She would have been privy to many secrets, judging by a mid-19th century account of the job. My avocation calls me into the upper classes of society almost exclusively; and there reigns as many elements of misery as the world can produce.… [N]owhere do hearts betray themselves more unguardedly than in the private boudoir, where the hair-dresser’s mission makes her a daily attendant…. 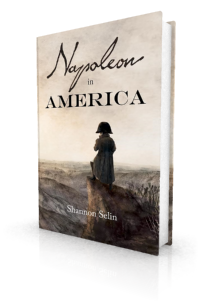 By the late 1820s Marie was in a relationship with Christophe Glapion, the descendant of an aristocratic French family and a veteran of the Battle of New Orleans. Between 1827 and 1838 they had seven children, two of whom survived to adulthood: Marie Heloïse (b. 1827) and Marie Philomène (b. 1836). In 1831, the family moved to a Creole cottage on St. Ann Street, between Rampart and Burgundy, that used to belong to Marie’s grandmother. They were prosperous enough to own slaves. 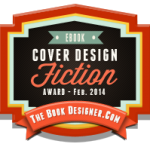 It is here that the legend of Voodoo queen Marie Laveau developed. Voodoo, or Voudou, was a religious practice that came to New Orleans from slaves and others of African descent, particularly the refugees from Saint-Domingue (Haiti) in the early 19th century. Marie Laveau reportedly began practicing as a priestess sometime in the 1820s, though it’s impossible to say for sure, as the accounts of New Orleans Voudou during this period were written retrospectively. Another alleged priestess, Sanité Dédé (a possibly fictitious character for whom there is no archival record) was first mentioned in 1875, in a description of a ceremony said to have taken place some fifty years earlier in the shed of an abandoned brickyard on St. John’s Eve (June 23). At a given signal the four initiates formed a crescent before Dédé, who was evidently the high-priestess or Voudou queen. She made cabalistic signs over them, and sprinkled them vigorously with some liquid from a calabash in her hand, muttering under her breath. She raised her hand and Zozo [the drummer] dismounted from his cylinder, and from some hidden receptacle in or behind the large black doll drew an immense snake, which he brandished wildly aloft. I cannot at this distance of time recall to what species the serpent belonged; I only remember its vivid colors, showing like glistering red-and-black lozenges in the lurid, waning light of pyre and sconce. Marie would hold small, private weekly services at her home, for a racially mixed congregation. Marie also gave private consultations and made and sold gris-gris, such as the one she prepares for Napoleon in Napoleon in America. Gris-gris were assemblages of substances used by believers to attain control over others or to gain success, health, protection, revenge or luck. They could include roots and herbs, peppers, sugar, salt, flavourings, animal parts, graveyard dirt, gunpowder, pins and needles, nails, dolls, candles, incense, holy water and images of the saints. There are tales that Marie helped prisoners who were headed for the gallows, but these all appeared after her death. Her name was never mentioned in connection with such cases in the contemporary newspaper accounts, and none of the Louisiana Writers’ Project interviewees mentioned Marie’s attention to prisoners. Marie Laveau died on June 15, 1881. Most of New Orleans turned out for her funeral. She was buried in St. Louis Cemetery No. 1. Her cottage on St. Ann Street was demolished in 1903 and a double-shotgun house was built on the site in the early 1920s. Eliza Potter, A Hairdresser’s Experience in High Life (Cincinnati, 1859), pp. iv, 68. Marie B. Williams, “A Night with the Voudous,” Appleton’s Journal, March 27, 1875, p. 404. Williams was relating the account of a “Professor D–” of New Orleans. Caroline Morrow Long, A New Orleans Voudou Priestess: The Legend and Reality of Marie Laveau (Gainesville, 2006), p. 106. Ibid., p. 166. Long says Marie Laveau had always been a practicing Catholic. Marie and her wenches were continuously disturbing the peace and that of the neighbourhood with their fighting and obscenity and infernal singing and yelling … [in] the hellish observance of the mysterious rites of Voudou … one of the worst forms of African paganism.